The lakes are stocked with fighting rainbow, blue, brown and tiger trout. Day rates available and Annual memberships available. 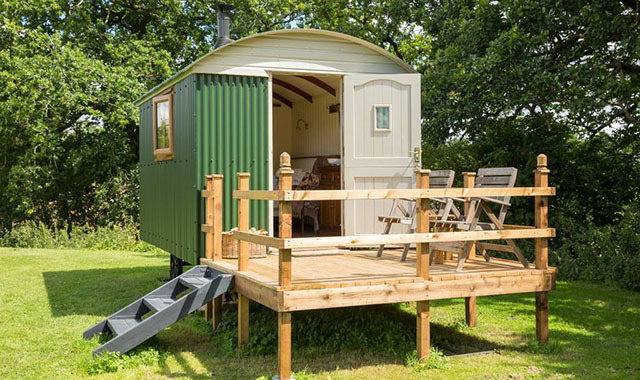 We offer a Shepherds Hut and coming soon in 2019 Self Catering Lodges. Our fishery can be found between the Malvern Hills and the River Severn in Worcestershire. The site is surrounded by mature oak trees with the Malvern Hills as the backdrop creating an idyllic location to spend the day fly-fishing. We offer day ticket fly-fishing for trout from our two lakes and also have self-catering accommodation available. There are two spring fed lakes at Broad Oak and being game anglers ourselves we designed the fishery to have plenty of back-cast room and no unfishable water. Oak Tree Lake is three acres of water and Acorn Lake one acre and both are stocked with Rainbow, Blue, Brown and Tiger Trout. The facilities here at Broad Oak are currently in development (2019). We are just in the process of converting the main lodge, function room and shop into holiday lodges and created a new space for a Fishermans Lodge. 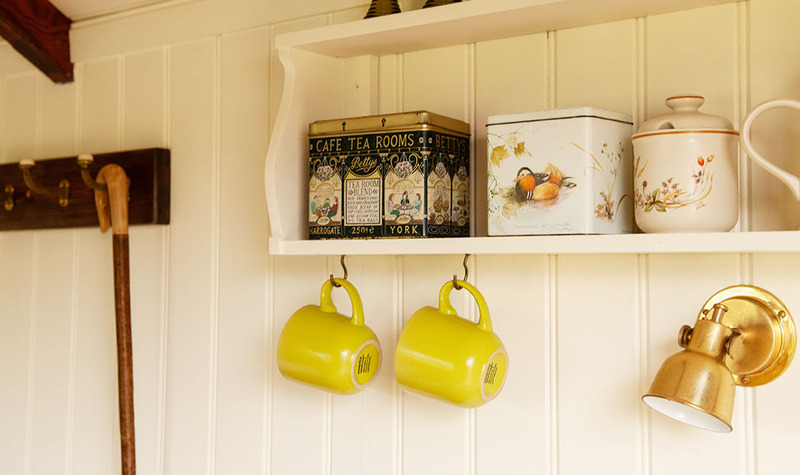 The result is that temporarily there will NOT be any tea and coffee making facilities until works are complete and the Fisherman’s Lodge is redesigned. Apologies for any inconvenience. Angling essentials such as flies, leader etc. are available to purchase. Hosting a wealth of aquatic insect life providing quality natural food for the trout and as the natural flora continue to develop the 'stalking angler' will be able to practise his art. 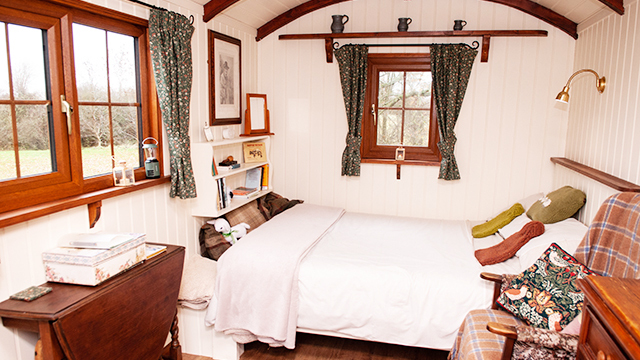 Escape to the corner of the lakes, away from it all, for a break in our Shepherds hut. 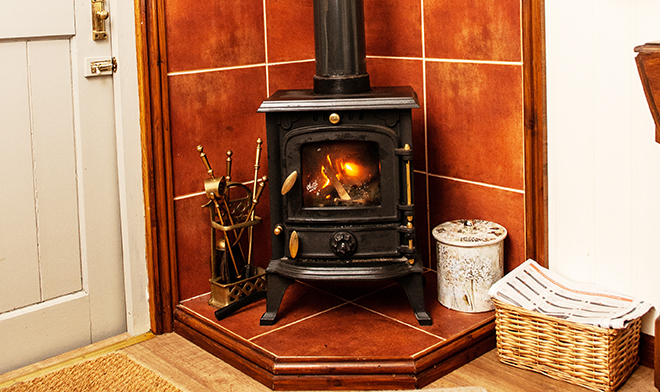 We are very pleased to offer a cosy shepherd's hut and two lodges situated around our lakes, fully equipped and ready to kick off your shoes and relax in. The big news is that conversion of the fishing lodge, function room and shop is underway! Open Tuesday – Sunday from 8am. Last ticket 6pm unless you phone and book.